Bangkok, Thailand -- Venerable Phra Brahmagunabhorn (P.A. Payutto) is one of Thailand's most highly respected monks and a leading scholar of Thai Theravada Buddhism. His profound knowledge of Buddhist scriptures is widely recognised and his moral conduct greatly admired. He is also well informed about current social issues, knowledgeable about modern fields of study and has been able to apply Buddhist teachings to analyse and solve problems facing society these days. << The Venerable Phra Brahmagunabhorn (P.A. Payutto) is noted as a prolific writer about Buddhism. The subjects of his many books range from moral conduct to Buddhism’s relevance in modern society. The Venerable Phra Brahmagunabhorn (P.A. Payutto) is noted as a prolific writer about Buddhism. The subjects of his many books range from moral conduct to Buddhism’s relevance in modern society. For the past several decades, he has penned more than 350 books on Buddhism and its relevance to society and its application to numerous areas of modern sciences and disciplines. His followers and students recently came up with a project to convert all of his literary output into e-book format so his works can reach a wider audience. He authored Buddha Dhamma, a large literary work on the Tripitaka (Buddhist scriptures), which received wide acclaim as a masterpiece of Buddhism. It has been revised and expanded since it was first published. The work attempts to link Buddhist teachings to human life and explain how people should follow the so-called Middle Path. Unesco awarded him the Prize for Peace Education in 1994 in recognition of his contribution to education. The monk stressed that education is the key to human development. 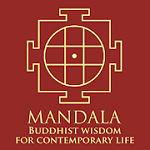 By education, he means an approach based on the Buddhist philosophy of threefold training or "Tri Sikkha" - the focus on self-training through moral conduct and meditation practices to attain wisdom and understand the nature of all things, or dhamma. P.A. 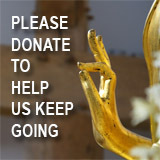 Payutto, 74, always stresses that the aim of education in Buddhism is to achieve liberation from the binding and suffering of the cycle of life and death; in short, Nirvana. His other well-known works include Thammanoon Cheewit (Constitution of Living) and Ammaritta Pojjana (Words of Wisdom in Buddhism), which have been reprinted several times. Suradej Porntavetat, a property businessman, was once ordained as a monk and served as P.A. Payutto's personal secretary for four years. He said P.A. Payutto has been ill as a result of his age-related ailments and has not given sermons in public or met his visitors for four years now. However, the monk has taken advantage of the period of his illness and turned it into an opportunity to devote himself even more fully to producing his literary output. Almost 20 works have been penned during his illness. The total of 350 books he has written have been turned into e-books to give greater access to his work to the younger generation. The senior monk has edited and revised many of his old published works, notably Buddha Dhamma, which has been expanded by another 300 pages so it now contains 1,500 pages. Information about the books is available for research at http://www.payutto.org. In addition, his Chronology of Buddhism in World Civilisation has 100,000 printed copies in hardback and they are given out for free. The book describes the social and cultural milieu in India more than 2,000 years ago when Lord Buddha established Buddhism, as well as the repercussions and changes Buddhism had on Indian society and the course of civilisation. The author has also offered Buddhist teachings to educate readers on how to react and behave in the face of the ever-changing and impermanent nature of all things. P.A. Payutto embraces modern technology and utilises it to spread Buddhist teachings. He was keen to learn to use a computer when computer technology was first introduced to the country and this enabled him to write and edit his literary works more efficiently. P.A. Payutto is the epitome of a person who has always trained himself using the Tri Sikkha principles. As a monk well trained and well versed in Buddhist teachings, he is willing to impart his knowledge to others with compassion. Even when he is not in the best of health, he is still determined to spend his time wisely and act as a model for others to follow. P.A. Payutto was born Prayuth Arayangkura in Suphan Buri's Si Prachan district on Jan 12, 1938. He studied at matthayom level at Pathum Khongkha School in Bangkok and was ordained as a Buddhist novice in Suphan Buri in 1951. During his novicehood, he studied Buddhist teachings in Pali and graduated with a certificate in Pali studies at the ninth level, the highest. This outstanding achievement entitled him to ordination as a monk in the Temple of the Emerald Buddha on July 24, 1961. The ordination was under the patronage of His Majesty the King. The monk went on to receive a bachelor's degree with first-class honours in Buddhism from Mahachulalongkornrajavidyalaya University. After graduation, he was appointed deputy secretary-general of the Buddhist University and made substantial contributions to it in terms of management and academic excellence. He was abbot of Wat Phra Piren in Bangkok between 1972 and 1976. At present, he is the abbot of Wat Nyanavesakavan in Nakhon Pathom's Sam Phran district. P.A. Payutto has dedicated his entire life to spreading Buddhist teachings through literary works, giving sermons and lectures at several universities at home and abroad. He has been a special lecturer teaching Buddhism at the University of Pennsylvania, Swarthmore College and at Harvard University in the US. He has also been invited to give addresses at international meetings. His literary works have been translated into several foreign languages and he has received honorary doctorate degrees from a number of universities along with many awards. P.A. Payutto gave his blessings to the general public in a New Year's address in 2009 and his words of wisdom then continue to be relevant today. "We live in a society crippled by dangers," he said. "If we remain complacent, this could be a path of carelessness. "In this state, we need strong mental power and to turn crises into tests and use wisdom to develop our life and to find solutions to Thai society." He continued: "This New Year is therefore a new opportunity in relation to the existing crisis. "That is an opportunity for us to step out of the crisis and steadily move towards prosperity and development."